Well before our clients decide when exactly they will retire, we work to make sure they are fully prepared to make that big decision. Understanding both your big dreams and life's unexpected details, we sit down with you and together we create a "retirement roadmap" that is both comprehensive and realistic. 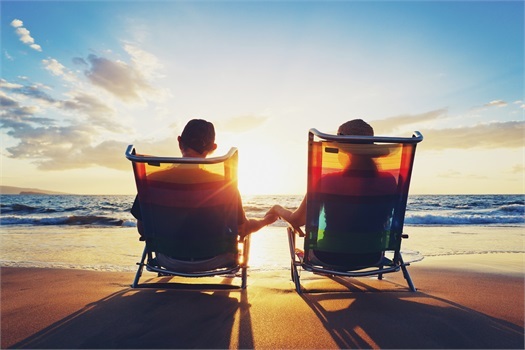 Meeting your retirement income needs, desires, and expenses. Maintaining your lifestyle choices and priorities throughout retirement. Ensuring that your long-term goals and aspirations are funded for travel, health care, estate planning, charitable giving and other goals. Identify and pursue your lifetime income goals. Minimize taxes on income—now and during retirement. Evaluate the variables in your retirement plan to ensure they align with your objectives. How does your employer-sponsored plan fit into your overall financial plan? Are you taking advantage of everything the plan offers, such as contribution matching, in-service withdrawals, or a Roth option? Also, is your plan being actively monitored to make sure your desired asset allocation hasn't strayed out of line? These and other questions are the options we routinely discuss with our clients. To learn more about your options, contact us HERE today. Business owners face unique challenges when it comes to preparing for retirement. At M Financial Planning Services, we specialize in retirement planning for business owners and their families. We have a thorough understanding of the many business exit strategies and business succession plans that owners utilize to fund their retirement years. We work with people to make the transition from running a business to retirement as seamless and efficient as possible. To learn more about our retirement planning services, please contact us today.